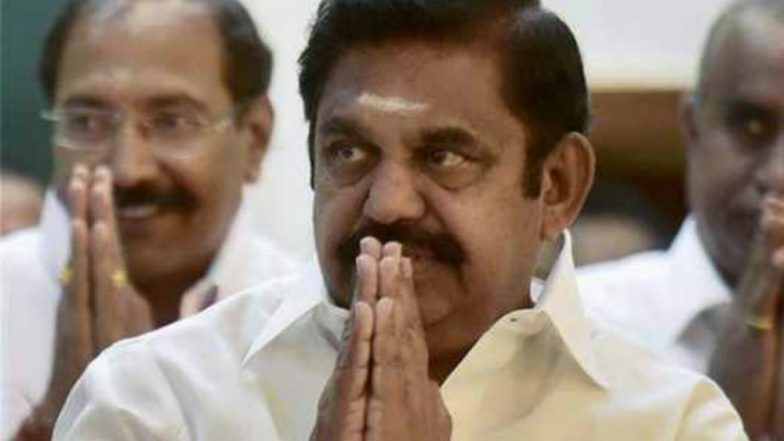 Chennai, Jul 23: Tamil Nadu Chief Minister K Palaniswami today expressed grief over the death of four persons who have washed away while taking bath in the Cauvery and announced a solatium of Rs one lakh each to the bereaved families. Despite warnings issued by the district administration against venturing into the river, six people, including three women of a family, had gone for a bath in the river at Salem yesterday. All of them were washed away but one of them, a college student, was rescued by local people on the river bank. Four bodies have been retrieved while a search was on to locate another person, the chief minister said in a statement. Palaniswami urged people to exercise caution in the wake of water being released from the Mettur dam in Salem district. The chief minister said as part of precautionary measures in the wake of the release of water from Mettur, due announcements were being made through various media asking people residing in Cauvery catchment areas, its path and low-lying areas of the dam, to move to safer zones. Authorities have urged that children not be allowed to enter the river when water is released from the reservoir, he said. "However, to ensure such incidents do not recur, people should use only designated spots to bathe in lakes and rivers," he said. He also announced Rs one lakh each as a relief to the families of two persons from Madurai who drowned in a quarry lake on Sunday.